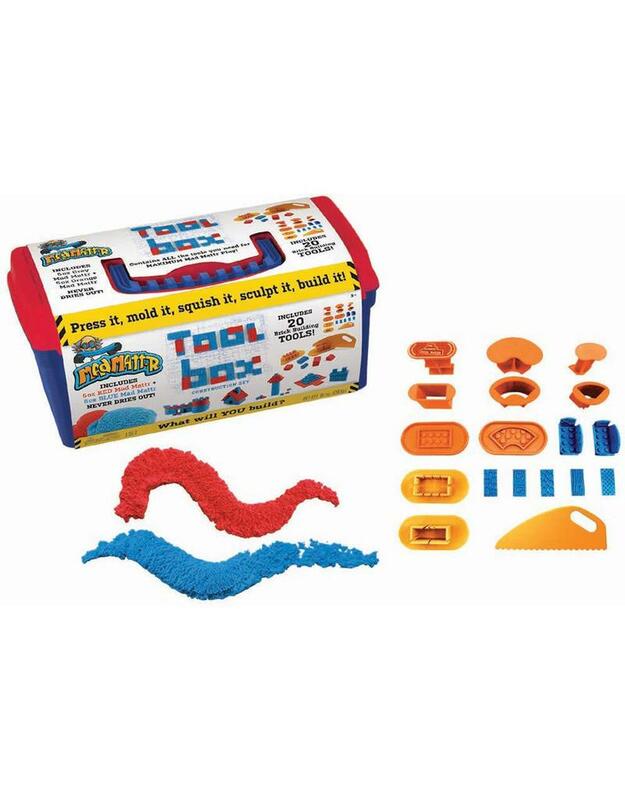 Kids of all ages will expand their Mad Mattr building prowess with the amazing Mad Mattr Tool Box! With 20 tools and two 5oz packs of Mad Mattr included in the portable tool box, there are endless ways to maximize your construction play. Press it, mold it, squish it, and sculpt it. What will you build?